As the figure skating competition continues in the 2018 Winter Olympics in PyeongChang, South Korea, we take a look at one of the sport's most polarizing figures: Tonya Harding. Harding competed in the 1992 and 1994 Winter Olympics and is the subject of the film, I, Tonya. In early 2017, Central Casting Georgia cast Background Actors for the Academy Award nominated film, I, Tonya. From principal photography to reshoots in May 2017, Central Casting's Casting Directors booked hundreds of Background Actors to portray figure skaters, spectators, reporters, FBI agents, and many other roles. I, Tonya stars Margot Robbie as infamous figure skater Tonya Harding, Allison Janney as her mother LaVona Golden, and Sebastian Stan as her husband Jeff Gillooly. While the story chronicles Harding's life from childhood to her post figure skating career, much of the film centers on the 1994 attack on Nancy Kerrigan and the investigation into Harding and Gillooly. Screenwriter Steven Rogers drew inspiration from an ESPN 30 for 30 episode called "The Price of Gold" and based the screenplay on interviews he did with Harding and Gillooly. I, Tonya has been commended for its creativity with its use of documentary-style interviews, shifting tones, and breaking of the fourth wall. The film has received over 90 nominations, including Academy Award nominations for lead actress Robbie, supporting actress Janney, and best film editing. Janney has already won best supporting actress trophies at this year's Golden Globe and Screen Actors Guild Awards. Most of the competition scenes were filmed at the Macon Coliseum, about an hour outside of Atlanta in Macon, GA. Multiple large calls were needed to fill the stands with Background Actors posing as spectators and members of the media. In some of these scenes, Background Actors were required to skate on camera. To find people who knew how to skate, the Casting Director reached out to local skating rinks and took email submissions of Background Actors skating. One of the largest calls was for a 400-person crowd in a boxing scene. The scene took place about a half hour outside of Atlanta with a 4:40am call time. "Even though it was difficult, my favorite scene to book was the boxing scene," said Casting Assistant Ali D. "I was excited because I got to go out to do check-ins and see the set. The Background were very heavily featured in that scene so it was wonderful to watch the movie and see the people we booked." While I, Tonya spans different time periods, a lot of the film takes place in the 1990s, including the 1992 and 1994 Winter Olympics. Casting for a specific decade can come with a unique set of challenges. "Most of the challenges we faced creating a '90s look were modern hair styles and colors," Ali said. "Men typically had longer hair in the '90s and women dyed their hair differently." The wardrobe department often provided 1990s era looks for the Background Actors, but on larger calls many Background had to arrive hair and make-up ready in their own clothing. On these days, the hair and wardrobe departments would do necessary touch ups and changes, but the Background Actors were responsible for fitting the '90s look. "My advice to Background Actors who work in period pieces is to do your research and look at how people did their hair and make-up," Ali said. "Get creative with your wardrobe and try to piece things together." Central Casting casts Background Actors for past, present, and future time periods. 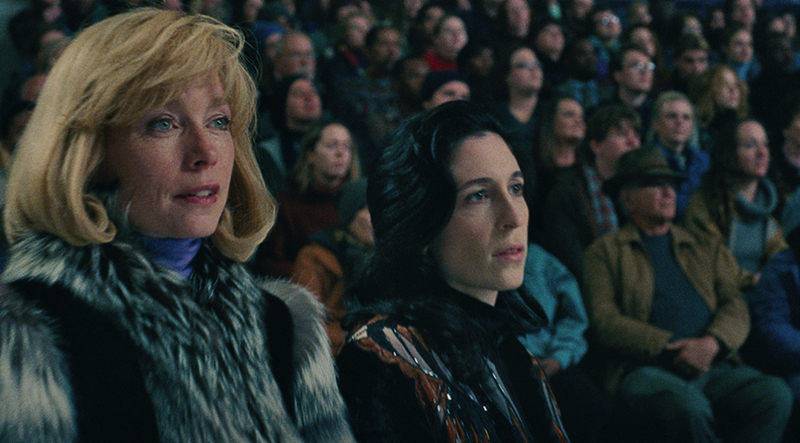 As I, Tonya shows, you never know when you might be cast for a different decade. If you do research on different era looks and put ideas together now, you'll be ahead of the game when you get cast in your next period piece. What Academy Award do you think I, Tonya will win?